Contractor manager has spent the last 20 years managing contractors. Our mission was to work in the same capacity between the contractor and the owner, but only from the other side of the fence. This process has made us experts in how this process should work and provided us the necessary tools to ensure the process is being done properly and professionally. 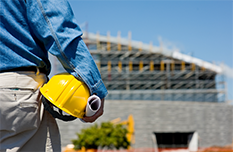 Contractor Manager provides professional representation from start to finish! Our company foundation is based on honesty, integrity and hard work. We spent the last 25 years studying our craft. 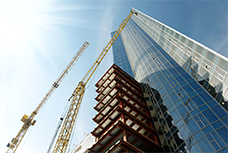 Representing both contractors and owner’s has given us the ability to become industry experts in all aspects of construction management. Contractor Manager has a proven track record managing over $100 Million annually. Our satisfied clients and successful track record speaks for itself. Imagine a business system without costly office salaries and added overhead like expensive offices? Wouldn’t it be nice to spend more time at the jobsite or with family and not in your office managing clerical staff or doing it yourself? Our mission as an owner’s rep is to provide our clients a direct liaison between the owner and the contractor. Too often an owner is forced to pay large invoices without fully understanding the process and their rights as an owner prior to doing so. It's streamlined our business and allowed us to focus on what we do best. I wish I hired them 20 years ago.